Many of us know about and have watched TED Talks. If you haven’t seen one, they feature an expert in the field who gives a short presentation. Inspired to create opportunities for applied learning, OEA Choice Trust featured TED Talks as part of the Journey to Wellness meeting for grantees last fall. Additionally, four exemplary champions of School Employee Wellness spoke at the Journey to Wellness. These local experts are all current or past grantees of OEA Choice Trust and are successfully developing and sustaining their own School Employee Wellness programs. By recording these talks, the Trust is excited to present resources in a whole new format – video! Whether you choose to watch them yourself, with your wellness team, with administrators or others, you’ll hear lessons and words of wisdom from Oregon educators. Learn a little more about each talk below. 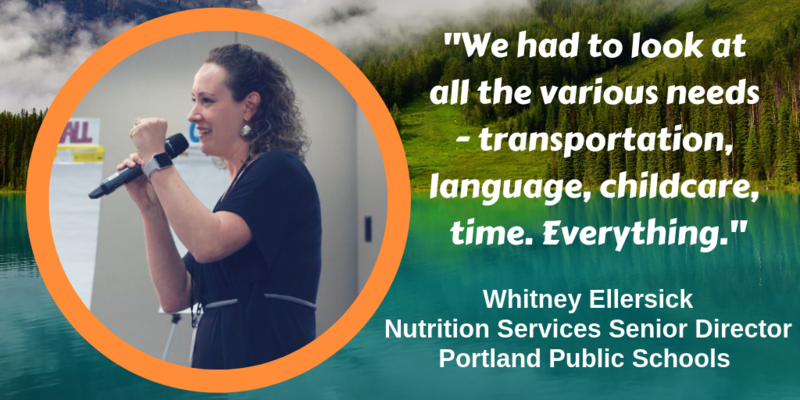 Whitney is the Nutrition Services Senior Director at PPS. She is a leader across the region in all aspects of the school food service industry. OEA Choice Trust officially launched a partnership with PPS Nutrition Services team in 2017 to conduct a pilot study with the goal to improve the planning and implementation of their school employee wellness program to effectively engage the nutrition services department staff. Michael Carter has been an educator for over 30 years. He has served as an elementary, middle school, and high school principal. Currently, he serves as the superintendent of the Rainier School District in Rainier Oregon. 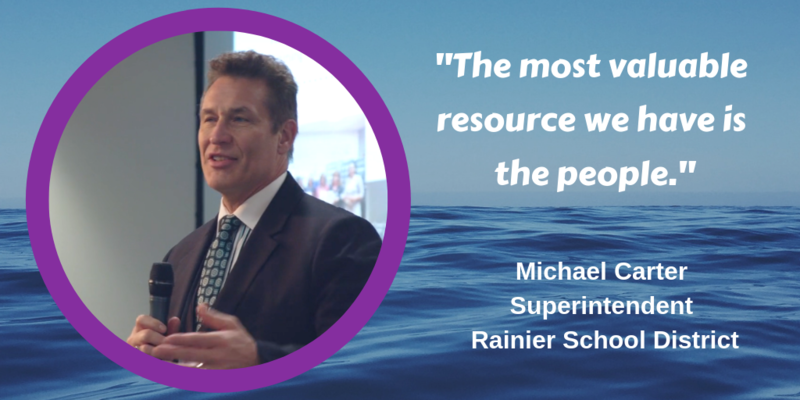 Through his leadership, Rainer School District has made wellness a key district priority. Rainier School District’s SEW program is supported by leadership at all levels and collaboratively planned with staff to ensure that the program meets the needs of all staff. Joanne is a PE teacher and co-wellness coordinator at David Douglas School District. She has been involved with the district’s employee wellness program since its inception and continues to serve as a Wellness Coordinator with Meagan Lutu. 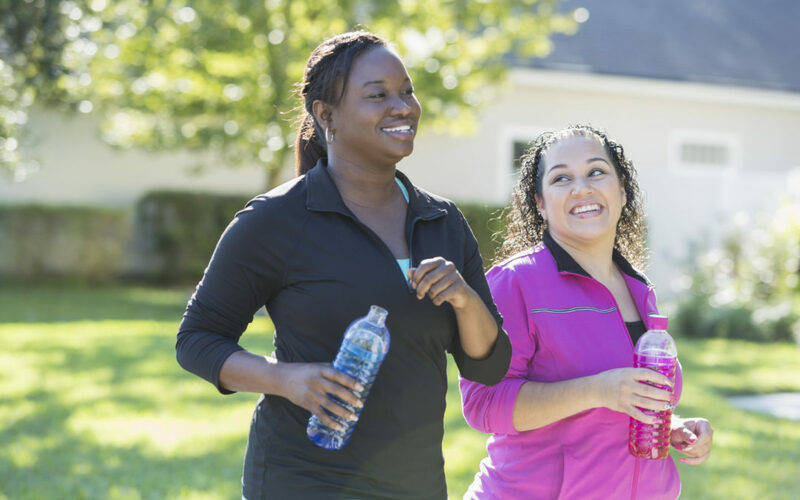 In partnership with Kaiser Permanente’s Thriving Schools and the Alliance for a Healthier Generation, David Douglas School District launched their SEW initiative in 2016. The David Douglas wellness team has adapted and overcome hurdles to create a culture that fosters staff health and well-being. 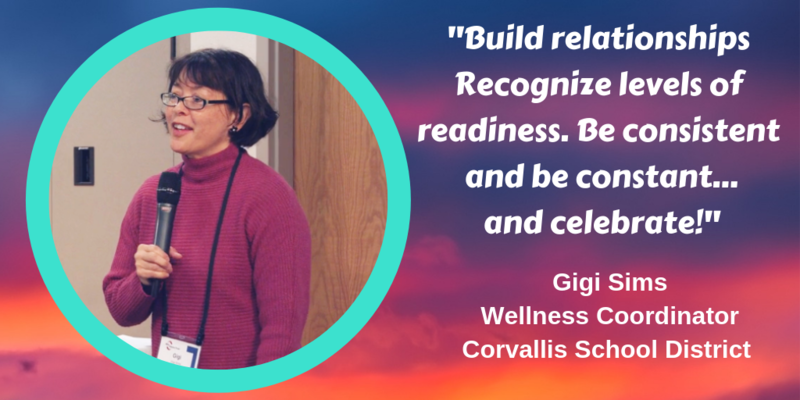 As the district wellness coordinator for the Corvallis School District, Gigi works with staff, students, families, community partners, and state-wide leadership in the areas of health, wellness, and Safe Routes to School. She currently coordinates Corvallis School District’s Staff Wellness Works program. Her district successfully completed the OEA Choice Trust SEW grant in 2015-2016 and was awarded an OEA Choice Trust Mini Grant to support the sustainability of their program. If you’re looking for more inspiration from OEA Choice Trust grantees, check out the Grantee Inspired Resources. 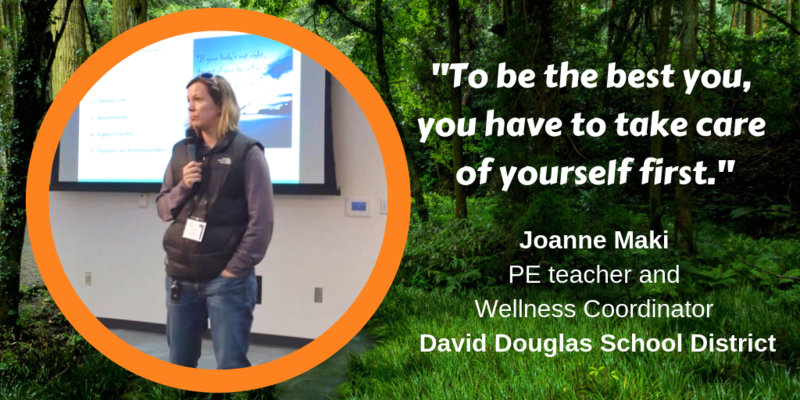 Don’t miss Corvallis and David Douglas School Districts’ presentations at the 2019 School Employee Wellness Conference in Bend! Both districts are presenting about their journey to design, implement and maintain SEW programs.